Much of our knowledge of ancient and medieval Indian history comes from the accounts of foreigners who as pilgrims, travellers and traders crossed the seas and difficult land routes to reach India. In their writings on their observations and experiences of a country new and strange to them, they left valuable contributions to the historical understanding of early Indian society. As outsiders, they found worthy of mention facets and facts about the country that native writers missed or often simply took for granted and hence ignored. They acted, often unwittingly, as agents of civilization contact and exchange, bringing with them new ideas, skills and technologies, and returning, in turn, armed with new knowledge as the harbingers of cultural and intellectual change. The Greeks who accompanied Alexander the Great in his Indian campaign, or travelled thereafter, recorded their encounters of this ‘mystical, magical’ land. Although much of their works were lost, the details percolated into subsequent Greek literature. The most notable of the Greek travellers was Megasthenes. The account of India is written by Megasthenes in Indika (Indica) is justly held to be almost invaluable, for the light which it throws upon the obscurity of early Indian history. Though, unfortunately, not extant in its original form, it has nevertheless been partially preserved by means of epitomes and quotations to be found scattered up and down the writings of various ancient authors. Chinese pilgrims played a key role in the exchanges between ancient India and ancient China. They introduced new texts and doctrines to the Chinese clergy, carried Buddhist paraphernalia for the performance of rituals and ceremonies, and provided detailed accounts of their spiritual journeys to India. Records of Indian society and its virtuous rulers, accounts of the flourishing monastic institutions, and stories about the magical and miraculous prowess of the Buddha and his disciples often accompanied the descriptions of the pilgrimage sites in their travel records. Fa-Hien was the first Chinese monk to travel to India in search of great Buddhist scriptures. At the age of sixty-five, he travelled, mostly on foot, from Central China taking the southern route through Shenshen, Dunhuang, Khotan, and then over the Himalayas, to Gandhara and Peshawar. Fa-Hien was about 77 years old when he reached back home. In AD 414 he recorded his travels in ‘Record of Buddhist Countries’ today known as the ‘Travels of Fa-Hien’. It is an excellent geographic account of his journey along the Silk Route and the first comprehensive eyewitness account of the history and customs of Central Asia and India. His account includes the description of local Buddhist monasteries, the approximate number of Buddhist monks in the region, the teachings and rituals practiced by them, and the Buddhist legends associated with some of these sites. Born around AD 600, Hsuan-Tsang was ordained at the age of twenty. Like other Chinese pilgrims, one of Hsuan-Tsang’s primary reasons to undertake the arduous journey to India was to visit its sacred Buddhist sites. Dissatisfied with the translations of Indian Buddhist texts available in China, he also wanted to procure original works and learn the doctrines directly from Indian teachers. In 629 A.D, at the age of twenty six, he commenced his journey across the Tarim basin via the northern route, Turfan, Kucha, Tashkent, Samarkand, Bactria, then over the Hindu Kush to India. In the 14 years he remained in India, he stayed in Kashmir for two years, in Punjab for about a year and a half, at Nalanda for five years, in Magadha for two years, with the remaining years in the Deccan and South India. Similar to Fa-Hien, Hsuan-Tsang narrated the Buddhist legends and miracles associated with the sites he visited and the Buddhist relics he saw. 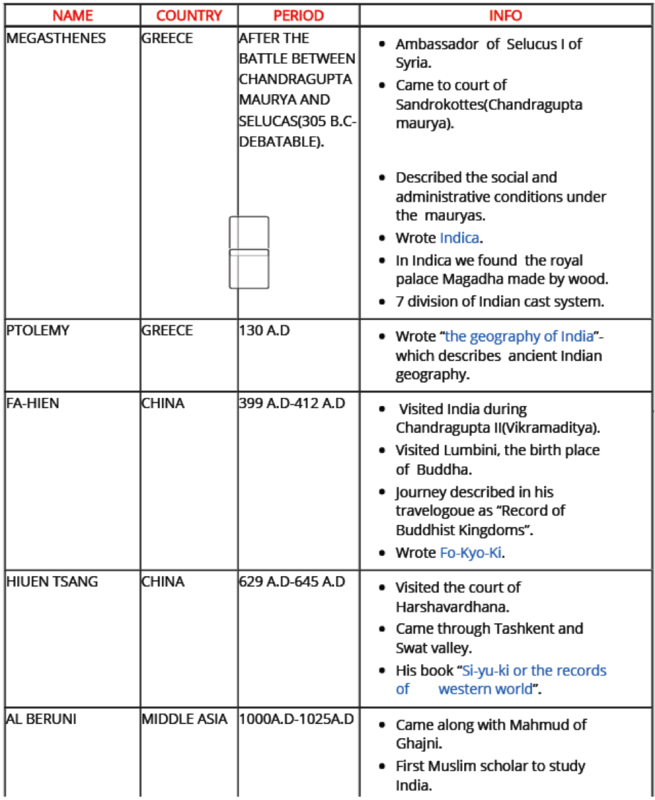 He explained the geography and climate, the measurement system, and the concept of time in India. He also narrated in detail the existing caste system, the educational requirements for the Brahmins, the teaching of Buddhist doctrines, the legal and economic practices, the social and cultural norms, the urban life and architecture, the eating habits of the natives, and the natural and manufactured products of India. The success of Hsuan-Tsang’s mission is evident not only from the 657 Buddhist texts he brought back with him, but also from the quality of translations he undertook. The Muslims, who came to India as travellers, merchants and writers in the early medieval age and those who learnt from them, had likewise developed a deep sense of respect for its wisdom and science, so much that they, despite their radically different religious culture did not criticize idolatry and polytheism but looked at them with benign curiosity and took a romantic view of Indian priests and saints. At the same time they learnt from India astronomy, mathematics and medicine, among other sciences. Born near modern Khiva in Uzbekistan, Al Beruni was conversant with Turkish, Persian, Sanskrit, Hebrew, Syriac (Armenian) and Arabic in which he wrote, and excelled in astronomy, mathematics, chronology, physics, medicine, mineralogy and history. He accompanied Mahmud of Ghazni to India and stayed on for thirteen years, observing, questioning and studying. The result was his monumental commentary on Indian philosophy and culture — Kitab fi tahqiq ma li’l-hind. Not for nearly 800 years would any other writer match Al-Beruni’s profound understanding of almost all aspects of Indian life. He read the major Indian religious and astronomical texts and highlighted parts of the Gita, the Upanishads, Patanjali, Puranas, the Vedas, the scientific texts by Nagarjuna, Aryabhata, etc. 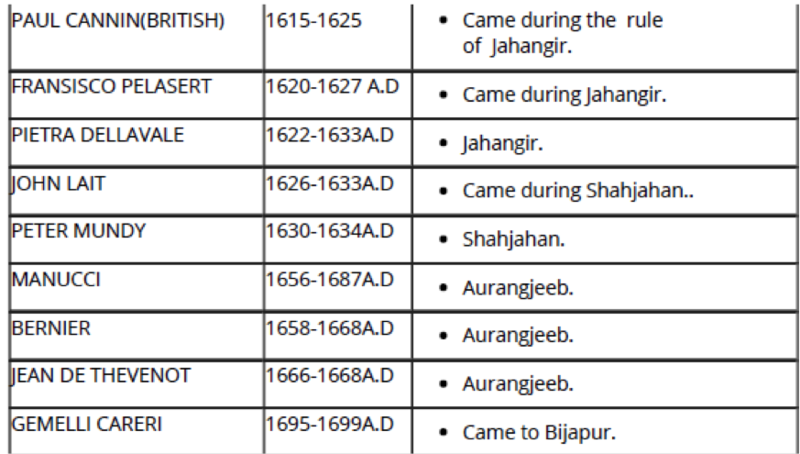 Al-Beruni also recorded some of the more egregious plundering by Mahmud of Ghazni, especially at Mathura and Somnath. For obvious reasons he didn’t explicitly denounce it though his text betrays a definite sense of lament. He wrote that Mahmud “utterly ruined the prosperity of the country, created a hatred of Muslims among the locals, and caused the Hindu sciences to retreat far away from those parts of the country conquered by us to places where our hands cannot yet reach”. Abu Abdullah Muhammad Ibn Battuta was born at Tangier, Morocco in AD 1304. Starting out on a simple Hajj (pilgrimage to Mecca) at the age of twenty-five, Ibn Battuta wound up touring almost the entire Muslim world, from West Africa and Spain to China, India and the Maldives, a journey that spanned nearly thirty years. On his return to Morocco at the court of Sultan Abu ‘Inan, Ibn Battuta dictated lengthy and pungent accounts of his journeys to Ibn Juzay which are known as the Rihla (literally, The Journey). On account of the Rihla, Ibn Battuta is considered one of the greatest travellers of all time. He travelled more than 75,000 miles (121,000 km), a figure unlikely to have been surpassed by any traveller until the coming of the Steam Age some 450 years later. Ibn Battuta’s exact path through Afghanistan and the Hindu Kush is uncertain because he does not make it clear where along the Indus he came out. The Delhi Sultanate was a new addition to Dar al-Islam, and Sultan Muhammad bin Tughluq had resolved to import as many Muslim scholars and other functionaries as possible to consolidate his rule. On the strength of his years of study while in Mecca, Ibn Battuta was employed as a qazi (judge) by the sultan. Ibn Battuta devotes numerous pages to the lineage of the royal family, the history of the country, the details of a variety of elaborately choreographed court rituals, the wars and revolts preoccupying the sultan, his extensive gifts to religious and political men and his ceremonies entering and leaving the capital. Tughlaq was erratic even by the standards of the time, and Ibn Battuta veered between living the high life of a trusted subordinate, and being under suspicion for a variety of treasons against the government. It took him years to reach his next intended destination, China, via Maldives, Ceylon (Sri Lanka) and Calicut. Al Masudi, an Arab writer, visited India in the 9th century A.D. during the reign of Mihira Bhoja of Kanauj. His account gives information about the history of north India during that period. Abdur Razzaq was a Persian who was sent by Shah Rukh as ambassador to the Zamorin of Calicut. 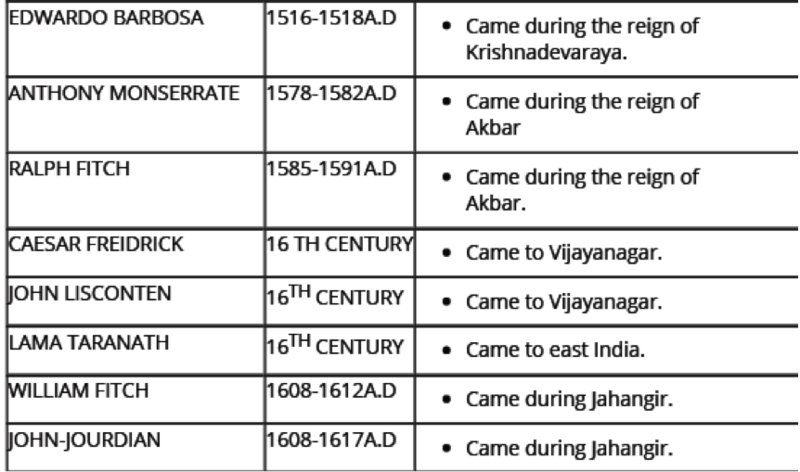 In April 1443, Abdur Razzaq visited Vijayanagar during the reign of Devaraya II. He was overawed with the size and grandeur of the city of Vijayanagar. He wrote, “The city is such that eye has not seen nor ear heard of any place resembling it upon the whole earth”. His narrative supplies valuable information on the topography, administration and social life of Vijayanagar at that time. Prior to Marco Polo’s travel to India in the 13th century, Western ideas about Asia consisted of a whole tradition of myths and fables. It was only when travellers beginning with Marco Polo returned to Europe with factual reports of their explorations that a new dimension of realism entered medieval conceptions of the fabulous East. 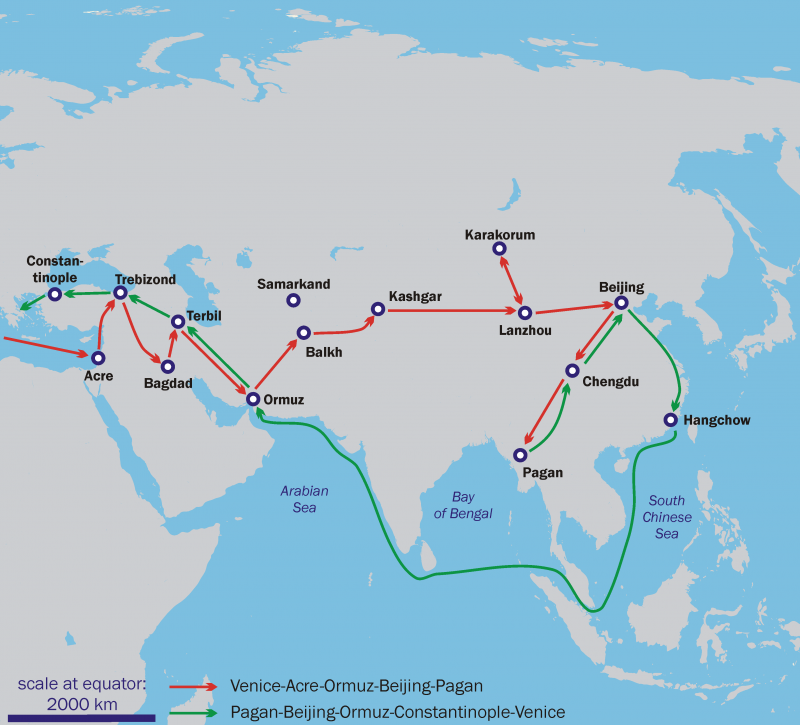 On his way from China to Persia, Marco Polo arrived on the Coromandel Coast of India in AD 1292 in a typical merchant ship with over sixty cabins and up to 300 crewmen. He entered the kingdom of the Tamil Pandyas near modern day Tanjore, where, according to custom, ‘the king and his barons and everyone else sat on the earth.’ He asked the king why they “do not seat themselves more honourably”. The king replied, “To sit on the earth is honourable enough, because we are made from the earth and to the earth we must return”. Marco Polo documented this episode in his famous book, The Travels, along with a rich social portrait of India. Marco Polo described the place as “the richest and most splendid province in the world”, one that, together with Ceylon (Sri Lanka), produces “most of the pearls and gems that are to be found in the world”. He wrote that the climate was so hot that all men and women wear nothing but a loincloth, including the king — except his is studded with rubies, sapphires, emeralds and other gems. Merchants and traders abounded, the king took pride in not holding himself above the law of the land and people travelled the highways safely with their valuables in the cool of the night. After the Eastern Coromandel Coast, Marco sailed up the Western Malabar Coast, but his observations were sparse, partly because most of the customs were similar. He noted the pepper and indigo plantations, incense, a date wine and further north, workshops for cotton and leather goods, shiploads of which went to the West every year. Vasco da Gama was a Portuguese explorer who discovered an ocean route from Portugal to the East. He sailed from Lisbon, Portugal, on July 8, 1497. At the time many people thought that da Gama’s trip would be impossible because it was assumed that the Indian Ocean was not connected to any other seas. Da Gama rounded Africa’s Cape of Good Hope on November 22, and after many conflicts with Muslim traders who did not want interference in their profitable trade routes, da Gama reached Calicut on May 20, 1498. At first, da Gama and his trading were well-received, but this did not last for long. 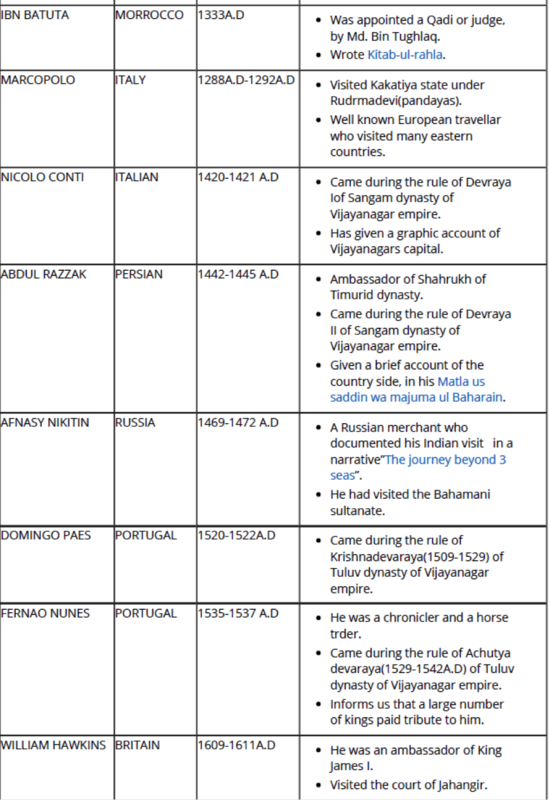 Da Gama left India on August 29, 1498, after he was told to pay a large tax and leave all of his trading goods. On his return to Portugal, he was treated as a hero and rewarded by the king. King Manuel I of Portugal sent Vasco da Gama, now an Admiral, on his second expedition to India (1502-1503). On this trip da Gama took 20 armed ships (anticipating problems from Muslim traders). On this voyage, da Gama killed hundreds of Muslims, often brutally, in order to demonstrate his power. After King Manuel’s death, King John III sent da Gama to India as a Portuguese viceroy, which turned out to be his final expedition. He died of an illness in India on December 24, 1524; his remains were returned to Portugal for burial. Afonso de Albuquerque (14? 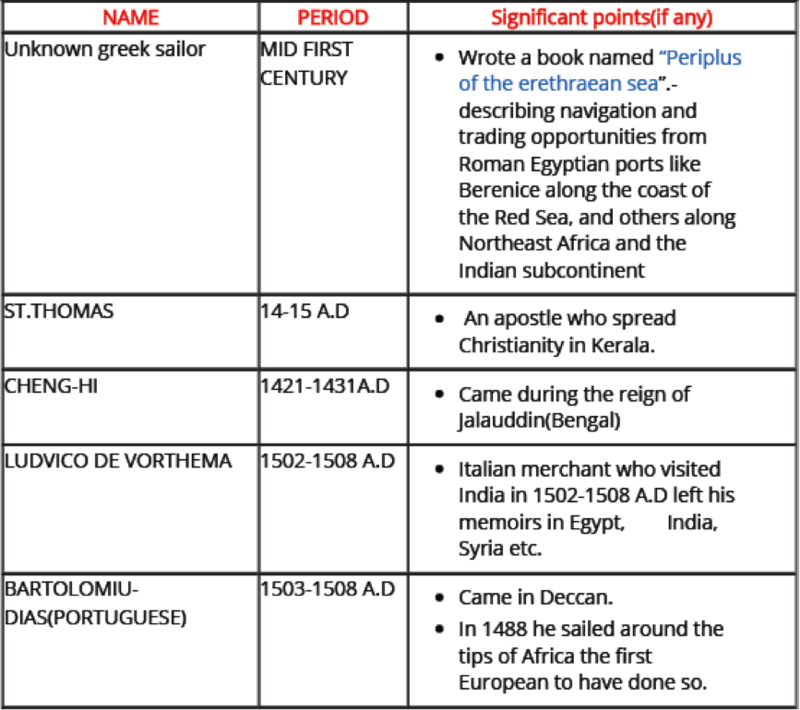 ?-1515) was a Portuguese soldier and explorer who sailed from Europe around Africa to the Indian Ocean. He was appointed the Viceroy of India by King Emmanuel in 1509. He forcibly destroyed the Indian city of Calicut in January, 1510, and claimed Goa for Portugal in March, 1510. Afanasii Nikitin (1466 – 1472), a merchant from the Russian city of Tver traveled through Persia to India and spent more than 18 months in the country. He left behind a detailed account of his stay in India and his experience of the famed Silk Road.